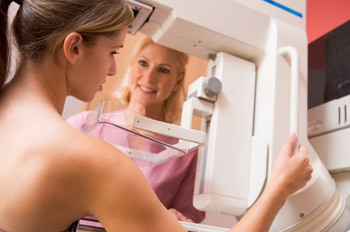 According to the Centers for Disease Control and Prevention (CDC), there were more than 18.7 million mammograms ordered or provided throughout 2010. But in this most recent study, the researchers say there is a significant lack of mammography in women under the age of 50. This technique evaluates breast cancer cases backward from death, in order to determine correlations at diagnosis, rather than looking forward from the beginning of a study. Out of 609 confirmed deaths from breast cancer, only 29% of the women had been screened with mammography, while 71% were unscreened. Of all breast cancer deaths, 13% occurred in women over the age of 70, while 50% occurred in women under the age of 50. The women diagnosed with breast cancer who then died were a median age of 49 at diagnosis. Those who died from any other cause had a median diagnosis age of 72. “The biological nature of breast cancer in young women is more aggressive, while breast cancer in older women tends to be more indolent. This study shows that 50% of all breast cancer deaths occur in women under the age of 50, giving merit to the idea that younger women should have mammograms. The study also showed that since the introduction of breast cancer screening in 1969, survival from the disease has significantly increased. In 1969, 50% of women who had breast cancer died 12.5 years after diagnosis, compared with only 9.3% of women from this study, who were diagnosed between 1990 and 1999. “This is a remarkable achievement, and the fact that 71% of the women who died were women who were not participating in screening clearly supports the importance of early detection,” adds Daniel Kopans of Harvard Medical School and Massachusetts General Hospital. In 2009, the US Preventive Services Task Force proposed that mammography should be limited to women aged between 50 and 74. But research from the Mayo Clinic last year revealed that the number of women in their 40s who have mammographies has dropped by 6% nationwide since the recommendation. The researchers say that given the findings of this research, there should be less focus on ensuring older patients are screened, and more focus on younger women. “Detecting and treating breast cancer in younger women to prevent death may further increase the disease-free life years saved,” say the study authors. However, other studies have shunned the use of mammograms. Research from The Dartmouth Institute for Healthy Policy & Clinical Practice in Lebanon suggested that mammograms are ineffective at lowering breast cancer death rates and that the process can lead to over-diagnosis.